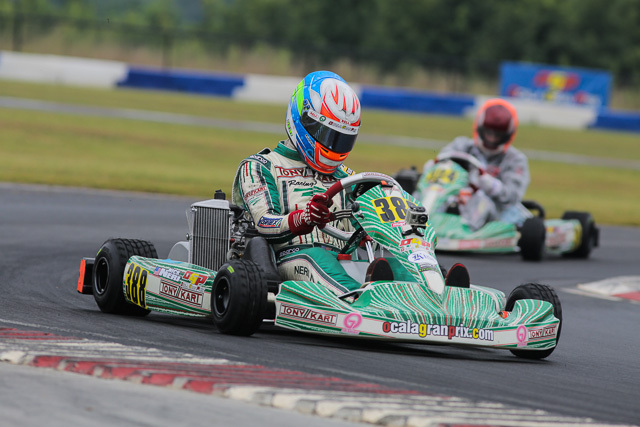 eKartingNews.com has partnered up with the 2011 United States Rotax Max Challenge Grand Nationals champion Nick Neri to provide an insightful and direct look into competing at this year’s Grand Nationals, held at the GoPro Motorplex in Mooresville, North Carolina. 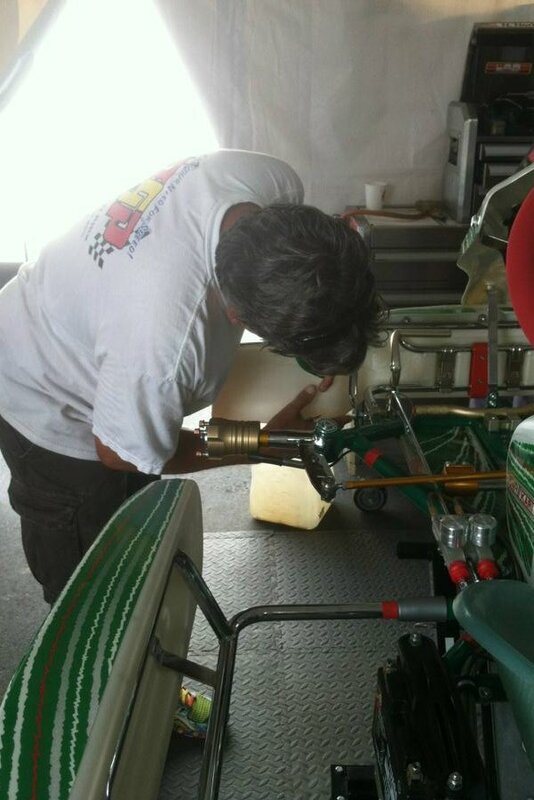 Following each day, the Ocala Gran Prix driver will provide a notebook on his action on and off the track. 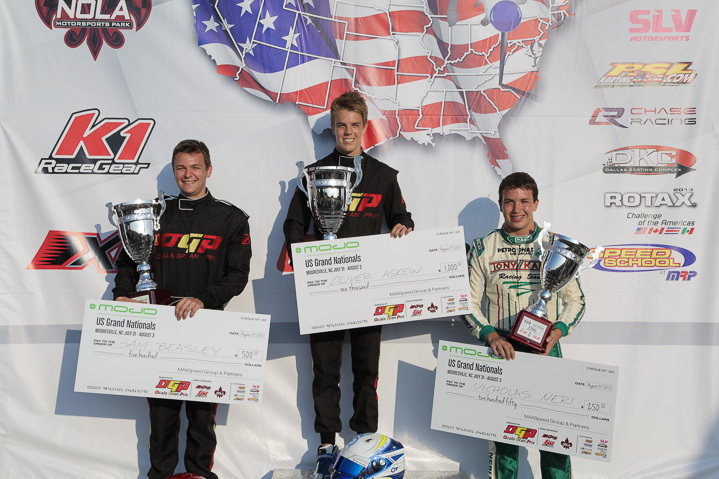 The final day of the US Rotax Grand Nationals was finally upon us. The pressure was on for everyone to get there ticket to the Grand Finals, and take a shot at this year’s national title. After having strong runs in all of my heat races, I would line up fifth for the Prefinal. Setting the fastest lap in the morning warm up for the second day in a row, I was excited for the Prefinal and was confident about getting a strong starting position for the main event. 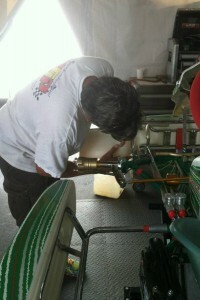 We made a small carburetor change before going into the pre-final. I had a good run through turn one and moved into second by the third lap. Running strong, I stayed in line behind teammate Oliver Askew and tried to be conservative before the start of the final. Starting on the front row for the final, I was a bit nervous about how turn one would play out. As the green flag dropped everything was going fine until I was hit from behind, and shoved wide in the first turn. I dropped back to sixth but quickly made my way through the field back to third, behind fellow OGP drivers Askew and Sam Beasley. Everything was going well as I gained ground and was looking for a good opportunity to make a pass for second. Unfortunately, my pace started to flatten out and I was never able to make a move. I was able to come home with a podium finish but I did not get a ticket to the Rotax Grand Finals. I am looking forward to still challenge for a ticket, and plan on making a trip to NOLAMotorsportsPark for Pan Am Challenge later this November. Even though I didn’t quite get the result I was looking for, this week was still a great success for the team. Ocala Gran Prix drivers showed speed in every class and swept the Senior Max podium. In the Junior category, Ashley Rogero dominated most of the weekend and earned herself a ticket the Grand Finals along with Oliver Askew and Sam Beasley. Kyle Kirkwood had an incredible run from the back, Austin Garrison was able to earn a great result in fifth, and Morgan Healey had the drive of her life in seventh, while the rest of the team all had a strong shot at a top ten finish. I can’t thank Jorge, Ocala Gran Prix, and my mechanic Phil Kirby for the countless hours of hard work they have put in to make everything go so smoothly this weekend for me and the entire team. 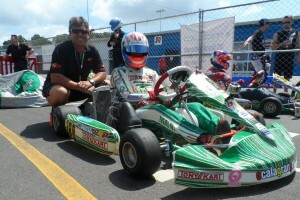 Every OGP Tony Kart ran strong and all the drivers had a weekend they can go away smiling about. 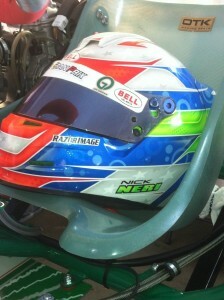 And I want to thank eKartingNews.com once again for the opportunity to write the EKN Driver Diary for this week. I also would like to thank Bell Helmets, Tony Kart, Razor Image, GO Designs, and my friends and family for the great support they have given me this season and throughout my racing career. I am excited about moving forward and taking the next steps up the racing ladder. After our strong run in yesterdays first heat race, we were looking to keep the momentum going in heats two and three. Before morning warm up my mechanic Phil Kirby and myself decided to test some front end changes. The session went extremely well and the changes really showed improvement as I said fast time in the session. Going in to the second heat race we were looking for a safe finish up front to gain as little points as possible. I made it through turn one fine, but some hard racing with another driver on the first lap and a mistake on my part sent me back to ninth before we came back across the front straight. I knew I had to drive hard to make sure I could still salvage a good finish.Luckily the kart was handling great and I was able to make it back up to third by the end of the ten lap heat. After the race I was given a two position penalty for an infraction during the race, but still managed to finish in the top five. Before going to battle in the thirdheat, we decided it would be good to work with what tire pressures wewill need for tomorrows race. At the start of my final heat for theday, I followed my teammate Oliver Askew through turn one and stayed in line for the first few laps to get a small gap. Because the last heat did not go as well as planned I wanted to get as many points as possible to ensure I started near the front in tomorrows pre-final. On lap four I made the move for the lead going into turn one. Getting faster and faster every lap I stretched a small gap from my OGP teammate and came away with the win. I will start fifth tomorrow in thepre-final, and depending where I finish there will be my starting spot for the main event. My Ocala Gran Prix Tony Kart is running very strong and I think that I will be challenging for the win, and a ticket to the Rotax Max Challenge Grand Finals later this year in New Orleans. 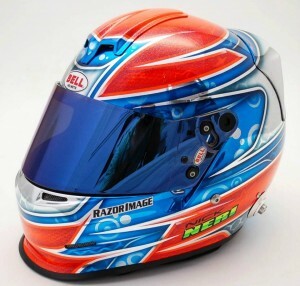 I also really want to thank Kyle Keitzmann, Toni Tatman, Nick Joyce, Toby Hallet, the entire Bell Helmets staff, and Mike at Razor Image for the present I received this morning at the track. I think its the best looking helmet I have had so far and hope to bring it to the top step of the podium with me tomorrow. With the big race on the horizon, today was the day that set the field for all the racing action. Feeling strong in what I had, and we made our way out for morning warm up. Everything was going as planned and I set the fastest time overall. Before qualifying, we decided to make some minor changes after reviewing the data from the morning session. At the start of qualifying, things felt great, but a lack of a good draft placed me in the fourth position. Thankfully, I was able to qualify for the new Super Pole session. I was excited for session but wasn’t sure how it was going to go. I was the third of six karts to go out and went with the plan of making sure to not overdrive. After making my two timed laps, I ended up fifth overall and will start third for all of my heat races, right behind teammate Oliver Askew. Heat race one was my last session on the track today. After making it through turn one with no issues, it was a very calm race. Staying in line behind teammates Sam Beasley and Oliver, we made it an OGP top three. 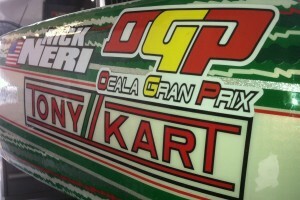 The entire Ocala Gran Prix team was strong all day. OGP drivers dominated Super Pole, and ran extremely well in the first round of heat racing. All of the team’s efforts these past few months are paying off and I look forward to an exciting day of heat racing tomorrow, which will line us up for the Prefinal action on Championship Saturday. On my way to the track today I knew that there was one main goal on everyone’s mind, and that was to make it into the faster of the two qualifying groups. All drivers were scheduled to be on track four times today, and based on lap time in the final session would determined your group. Looking at the weather this morning, how the day would turn out was questionable with rain on the horizon. Before the first session on track, rain began to fall. I struggled in the first wet session with minor engine problems that were easily fixed after we returned to the pits, and we were ready for the second session. The track dried quickly and we were back to dry tires for session two. Being our first session in the dry we used the session to get a good baseline for the day, and felt confident in what changes were needed for the next session. In the third session, I quickly realized the changes we made were in the right direction. 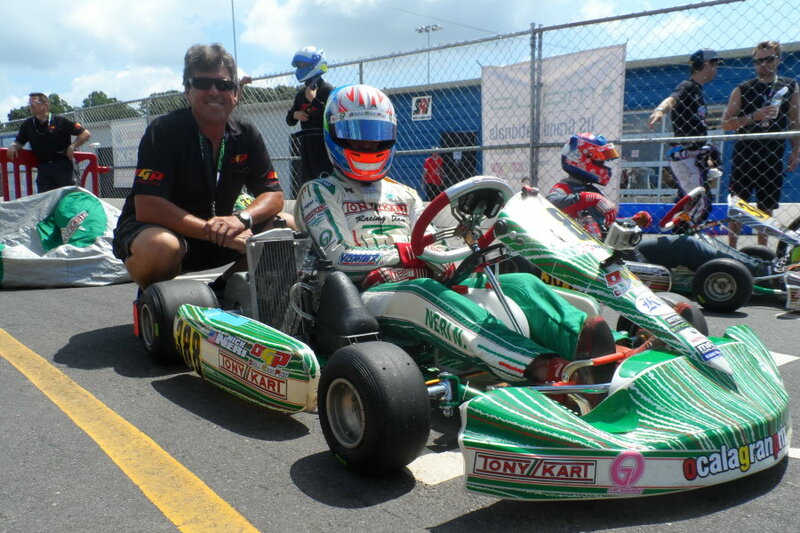 My mechanic Phil Kirby had my Ocala Gran Prix Tony Kart on rails and I went on to set the fastest time in my group, closely followed by fellow OGP drivers Sam Beasley, Jonathan Kotyk, and Oliver Askew. Coming into the final session of the day, it was time to pull out all the stops. I was working on getting into the right mind set for the last session, going through laps in my head and thinking about the perfect lap. We were about fifteen minutes from being on track when the weather took a turn for the worse. The rain came down much harder than it had in the morning. Working quickly to get everything ready for a wet session, I heard the disappointing announcement that our final session had been canceled due to the sever weather. Although I was excited for the final round of practice, and thought we had more than a good chance of setting quick time, I wasn’t too upset about the final session being canceled because it was later announced that they would separate groups by the third session, so I will line up second overall tomorrow for qualifying. I’m curious to see what the track conditions will be like tomorrow with the incredible amount of water there was today. I took a quick look at the track before I left this evening and there is a large amount of standing water still on the track. Tomorrow we will be qualifying and go through our first racing situation in Heat Race 1. I believe that we are looking strong to grab the pole position tomorrow, and this years new Super Pole should make things even more interesting. I want to thank everyone that has been following along for the great support and feedback that I have been given. Hopefully after tomorrow I will be one step closer to my fourth Rotax US National title! Today started with a bright and early wake up call for another full day of unofficial practice. 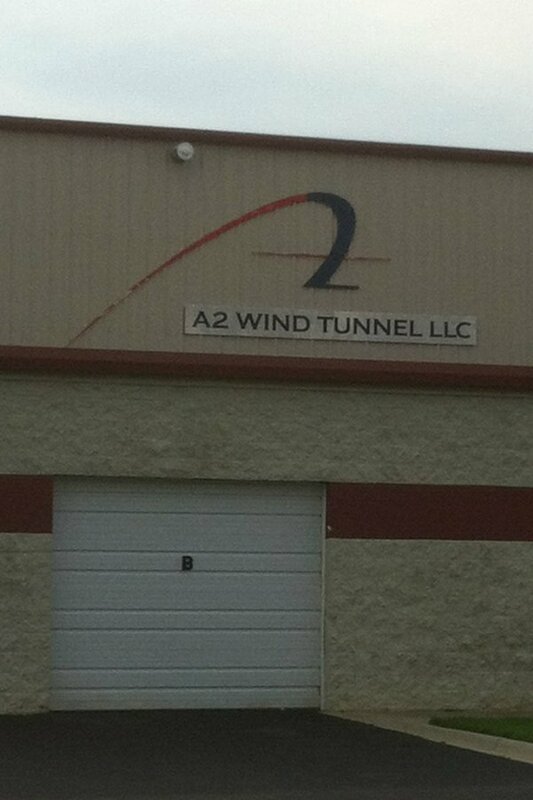 The atmosphere here in Mooresville is one of a kind as you drive past race shops like Penske Racing on your way to the track. Having this years Grand Nationals in an area that is so involved in racing is incredible, and I cant wait to see what the spectator turn out will be like this weekend. In the morning sessions everything went really well, the kart was fast and we had great pace. After the lunch break came the afternoon sessions. Even though we were still within a couple tenths, we know that there is more there. After a debrief at the end of the day, I feel I know what I need to do to improve for tomorrow, and get to where we need to be for the rest of the weekend. Many of the drivers elected to do night practice tonight to gain some extra track time, but the Ocala Gran Prix team manager Nate Grindell decided it would be more beneficial to have a good nights rest to assure all drivers are 100% for tomorrow, and I am definitely in need of some rest after a long day. I ended the day at the track with a relaxing walk around the track before night practice began, and a track side catered dinner inside the OGP hospitality tent. After heading back to the hotel and doing some much needed relaxing, its time to turn in early and be right back at it tomorrow morning for the last day of unofficial practice before Qualifying on Thursday morning. Once the Official sessions start I will be posting small updates on my results on both my Twitter and through my Facebook for those of you who want a constant update on my results. Today was the first day on track here in Moorseville, and I was extremely excited to be driving around the GoPro Motorplex once again. All classes were scheduled for five on track sessions for today, and we were quick from the first few laps this morning throughout the day. Taking advantage of every on track opportunity, my mechanic Phil Kirby, Alex Speed, and myself worked on testing different variables all day and learned quite a bit for the upcoming week. Luckily for me, I have some very talented teammates in the Senior Max class to work with and compare data to. I feel being able to work with drivers like Oliver Askew and Sam Beasley gives us a good head start for this weekend, and all eight of the OGP senior drivers showed good speed throughout the day. The field this weekend is going to be some of the toughest competition I have raced against. The speed we showed today was a big confidence boost for the rest of the week. On track we were either the fastest or within hundredths of a second from the leader! Each practice the track was gaining grip and I anticipate the track to continue to get faster as the week goes on if the bad weather stays away. 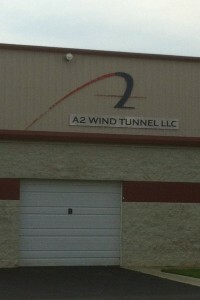 Either way, I know everyone working with the Ocala Gran Prix team will be giving there all, rain or shine. Everyone on the team is working hard to find the speed needed to win, and I am very confident that this weekend will be a great success. Our pace is looking very good for the race, but we are always looking for that little advantage to set us apart from the rest. There are still two full days of testing left and we plan on taking full advantage of that time to work towards my fourth US Grand National title. Thanks to Kurt Folsom, Scott Roberts, and Mike Speed we have already gained some ground in our testing plans, and I look forward to see what tomorrow will bring. Thanks to the great people at eKartingNews.com, I will be writing a driver diary throughout my 2013 United States Rotax Max Challenge Grand Nationals experience that everyone will be able to follow! 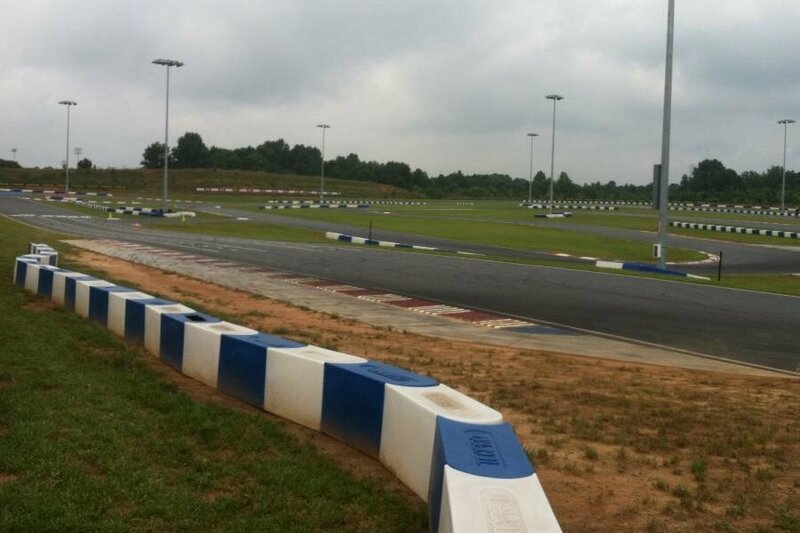 This year we are in Mooresville, North Carolina at the GoPro Motorplex. The track and facility here are top notch, and I am very excited to get on track! Today, we worked on getting as prepared as possible for the rest of the week. A nice stroll around the track is always one of my favorite ways to start off a big race weekend. This morning, I was joined by teammates Jerry Brown, Ashley Rogero, Morgan Healey, Mathias Ramirez, and his mechanic/dad Ismael. I was able to visit the track earlier this year, but I feel it’s always a nice way to refresh my memory. Most of the day was spent getting everything set up in the Ocala Gran Prix tent, which will hold 21 drivers this weekend! The OGP tent is almost impossible to miss with its “circus” size and abundance of talented drivers. My mechanic Phil Kirby was working hard all day making sure everything was ready to go on my new Ocala Gran Prix Tony Kart, and throwing in some of his own speed secrets to get the week started off in the right direction. But today was nowhere near ‘all work and no play’. Some people forget that the reason we race is to have fun, so I always find some way to enjoy myself the days we aren’t on track. It can be anything from a friendly card game at lunch to a game of wiffle ball out in the back field, today happened to have both. It was good to be able to relax a little and have some fun with fellow drivers before its time to get down to business. I am looking forward to what I think will be a successful weekend for both myself and the OGP team. Everyone at Ocala Gran Prix have been extremely dedicated to making sure we have what it takes to be in the front of the pack and I cant thank all of them enough for all of there hard work. I also want to thank everyone at eKartingNews.com for the opportunity to share my experiences in the upcoming week. Florida driver returns for second national title of career? Thanks Bill. Update made. What do you think are the odds on Nick grabbing title #4?? ?